Yet, we may not have seen the last of the high-profile murder case. It is difficult for me to remember a film other than Meghna Gulzar's Talvar that uncannily predicated the outcome of a murder mystery. Meghna's work, scripted by someone as eminent as Vishal Bharadwaj (remember his great Shakespeare adaptations?) and acted out by the fantastic Irrfan Khan threw up in the Akira Kurosawa's Rashomon style a different angle to the brutal 2008 murder of Aarushi Talwar and the man servant, Hemraj Banjade, from Nepal. Meghna's 2015 Talvar was based on the horrific episode, not just inspired by it. Though termed fiction feature, Talvar faithfully captured every incident that actually took place in 2008 and in the following years. The cremation of Aarushi that we see in the movie, the characterisation of her father, Dr Rajesh Talwar (an even tempered man), and the in-house rivalry in the Central Bureau of Investigation (which took up the case later, after the local police had botched it up) as well as the initial goof-up by the Uttar Pradesh Police (the murder took place at Noida in Uttar Pradesh) did really happen off the screen. So, incredible as it may sound today, the Allahabad High Court's verdict freeing the jailed parents of Aarushi, Rajesh and Nupur, vindicated the stand Meghna's film took. The court contended that there was no clinching proof that the dentist couple had murdered their teenage daughter and the servant - a case which had divided the nation in the years following 2008, with some believing that it could have been honour killing and some others pointing fingers at an outsider who could have committed the dark deed. The high court also said that this was a possibility. 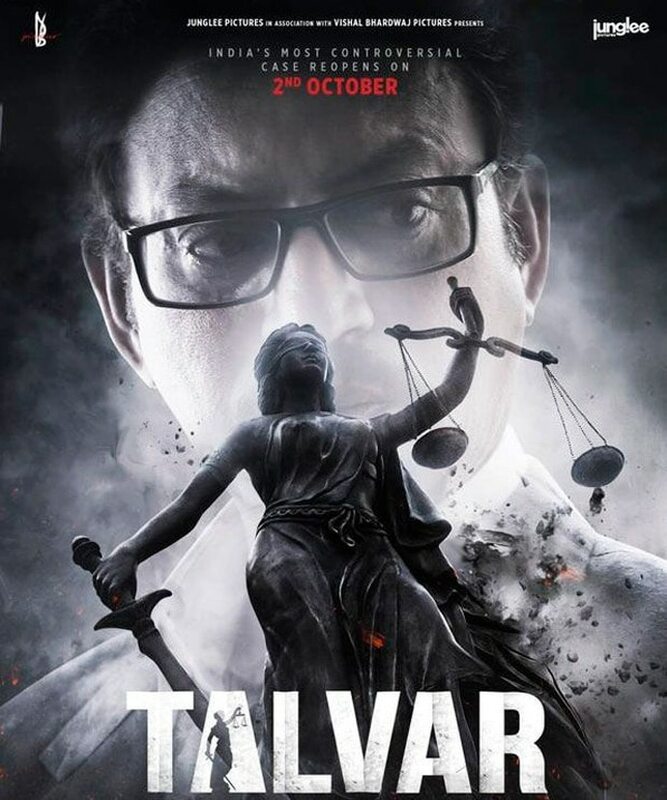 Soon after Talvar opened, Meghna had told me over the telephone from Mumbai in reply to my question whether her movie conveyed an unmistakable sympathy for Aarushi's parents: "Look a lot of people have been saying that. But what you see on the screen is what happened on that tragic night and in the months that followed. If there are facts that slant towards the parents, those are there in the film. We have not fabricated them. Every little thing you see in the movie is fact-based. Nobody knows the truth. But my question is, do we have a water-tight case to keep Aarushi’s parents in jail?" This is a vital question that the film raised, and as the director quipped: "It is better for 10 guilty men to walk free rather than one innocent man to be punished." In a media interview on October 12, Bharadwaj averred: "It's a relief because that's what we tried to do during the making of the movie - put out all the viewpoints by all the parties in a neutral manner. The black humour that one could perceive in the film points at the innocence of the parents. There wasn't enough evidence to put the Talwars behind bars, and jailing them was unjust. The acquittal is a beautiful thing to have happened because of which our faith in the judicial system is strengthened." Now, there are two issues that crop up here. If the parents are not guilty, who then is. Initial investigations had concluded that there could not have been some outsider sneaking in to murder the girl and the servant. But the latest court ruling has opened this possibility once again. More pertinent is the role of the media and cinema in such high-octane cases like the Aarushi murder. I remember a scene in Jolly LLB where advocate Tejinder Rajpal (Boman Irani) says sarcastically in court that the media has already decided the merits of the case, and who is guilty and who is not. In fact, there as been much debate on what has come to be known as “trial by the media”, and how this has the potential to influence a case. While this is still open to discussion, it appears that in case of the Talwars, Meghna-Bharadwaj's work presented a bang-on prediction of what was to come. Yet, we may not have seen the last of the Aarushi murder case.